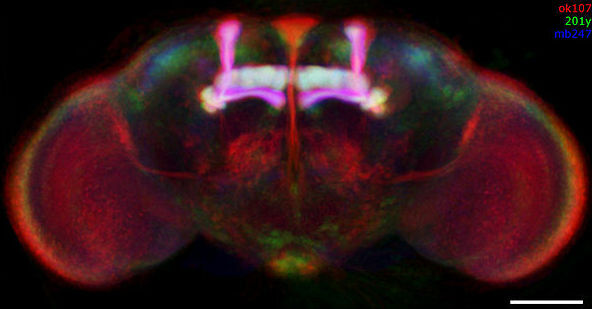 Researchers led by Amita Sehgal at the University of Pennsylvania have discovered that the permeability of the blood-brain barrier (BBB) in the fly’s brain changes with according to the time of the day. This has potential implications for getting drugs past the barrier, onto the brain. The BBB is a set of junctions between the membranes surrounding the brain that restrict the movement of molecules from the bloodstream into the organ. While this prevents the entry of foreign bodies into the brain, it also restricts many therapeutic drugs, thus limiting means for treating diseases and disorders of the central nervous system. In the new study, Sehgal and her team used a fluorescent dye to visualise the BBB and found that the barrier was more permeable to molecules in the evening day. To check if this difference was also applicable to drugs, they treated flies that could be mechanically stimulated to have seizures with an anti-epileptic, phenytoin, at different times of the day. They saw that the flies treated with phenytoin in the evening had much shorter recovery times than during the rest of the day. Since an anti-epileptic has to cross the BBB to be effective, this proved that the permeability of the BBB changed through the course of a day. Researchers have previously observed that the efficiency of chemotherapeutic drugs to the brain can be influenced by the time at which they were administered, according to The Scientist. This study is the first to shed light on the mechanism behind this observation. It went further to also link the cyclical changes in the BBB’s permeability to the circadian clock. Mutant flies that lacked an important protein called period, essential for maintaining the circadian rhythm, displayed similar levels of the dye throughout the day. The BBB in a fly is made up of two layers of glial cells, the subperineural glia and the perineural glia. Proteins called transporters are embedded on the surface of the subperineural glia and are responsible for actively transporting some molecules away from the brain side of the barrier, in a movement called efflux. Sehgal and her colleagues observed that the overall efflux activity of the membrane decreased during the evening, coinciding with an increase in the formation of gap junctions between the two glial layers. They saw that magnesium ions, which regulate transporter protein activity flow through the junctions, reduced transporter activity and intensified the drug’s concentration on the brain side of the barrier. An earlier study from Okayama University (located in the Japanese prefecture of the same name) identified a link between circadian rhythm disturbances and brain function.